Four consecutive years of restoring and spreading smiles! 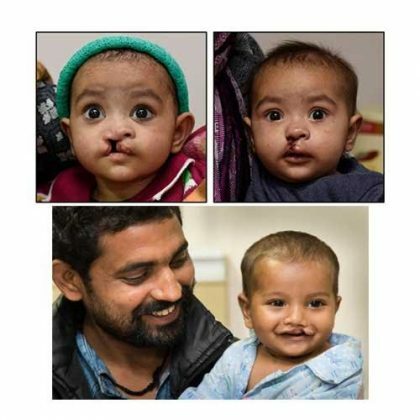 Sarvodaya Hospital & Research Centre in association with Rotary International (Delhi Vasant Valley, Faridabad Central & Dr. T N Sabharwal Healthcare Trust) conducted free Cleft Lip Surgery camp for people from weaker economic section across India, having cleft lip & palate anomalies. 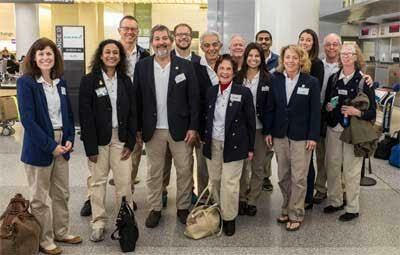 The initiative is being spearheaded by a team of 32 American healthcare professionals, which includes super specialist doctors, surgeons, dedicated & passionate nurses, pediatricians and anesthetists from “Rotaplast International, USA”. The people born with cleft lip, if not operated, might develop medical complications in the future. The surgeries for cleft anomalies are being done completely free of cost in accordance with Sarvodaya’s philosophy of ‘Sarve Santu Niramaya’. The entire hospital was excited about this initiative and fully prepared to carry out this mission efficiently and effectively for the 4th consecutive year. Team of Rotaplast International led by Ms. Evelyn Abad, mentioned that Sarvodaya Hospital has been chosen out of various available options in Northern India as it meets the international standards and has state of the art infrastructure which is fully equipped as per prescribed criteria for performing high end surgeries. Dr. Rakesh Gupta also shared that out of every 750 children one is victim of cleft lip anomaly, which results in inferiority complex along with dental issues, difficulty in speaking, drinking and eating. Cleft lip anomaly becomes more complex if treatment is not done on time. Keeping all this concerns in mind we organized free of cost camp to add smile to innocent faces. This year we successfully did 83 free surgeries!